Many people come for help because they remain stuck in a destructive relationship, job, legal battle or memories of child abuse. A growing number of therapists believe that forgiveness is of crucial importance in helping people break away from these patterns of resentment and revenge. * Present new frameworks for workers seeking to help people cope with trauma and injustice. 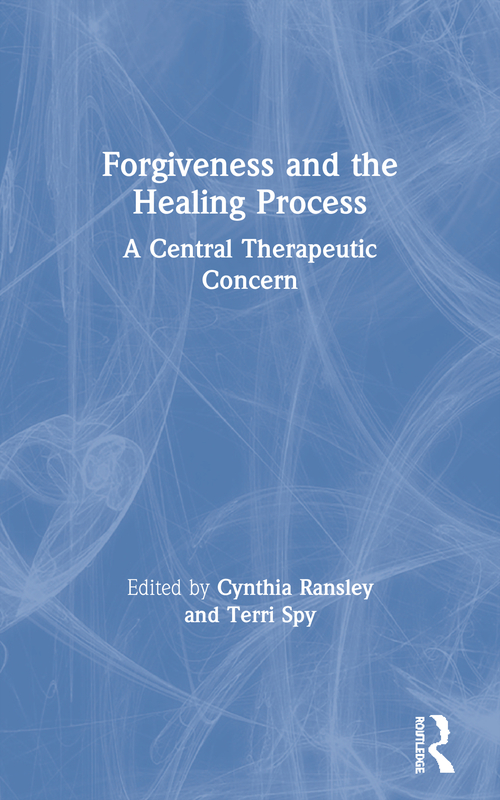 Forgiveness and the Healing Process helps counsellors, psychotherapists, social workers, mediators, psychiatrists, and those working in the criminal justice system understand how forgiveness can facilitate the therapeutic process. Cynthia Ransley is a lecturer and course leader in social work at Brunel University. She is an integrative psychotherapist, supervisor and trainer in London. Terri Spy is a counselling psychologist and fellow of the British Association for Counselling and Psychotherapy. She is a London-based integrative psychotherapist, supervisor and trainer. Contributors: Michael Carroll, Jane Cooper, Gill Eagle, Maria Gilbert, Joy Green, Guy Masters, Fathima Moosa, Cynthia Ransley, Terri Spy, Gill Straker. In the aftermath of political trauma: what price forgiveness? Letting go: a question of forgiveness?